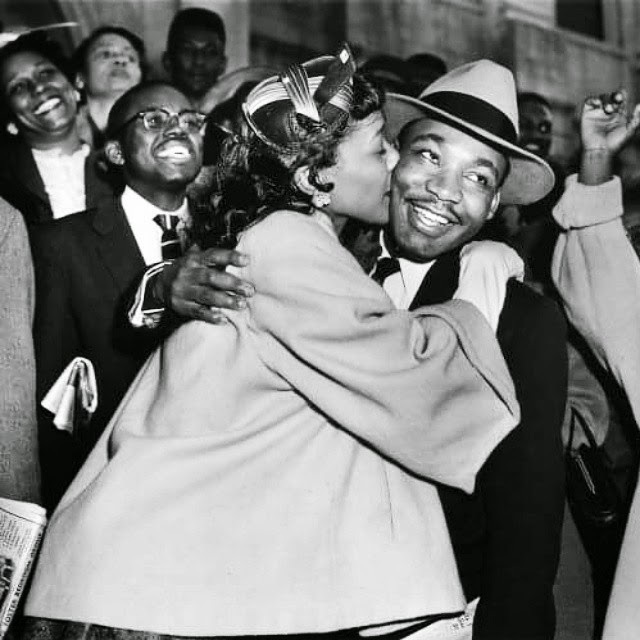 Happy MLK Day everyone! 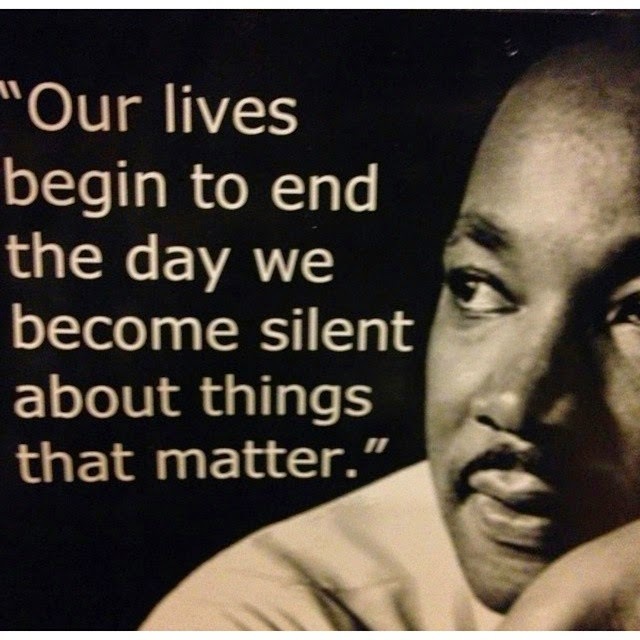 Martin Luther King Jr. was a man of God who sacrificed his life fighting for a better future for everyone. He stood for peace, he stood for freedom, and he taught us how we can advocate for both in a non-violent way. 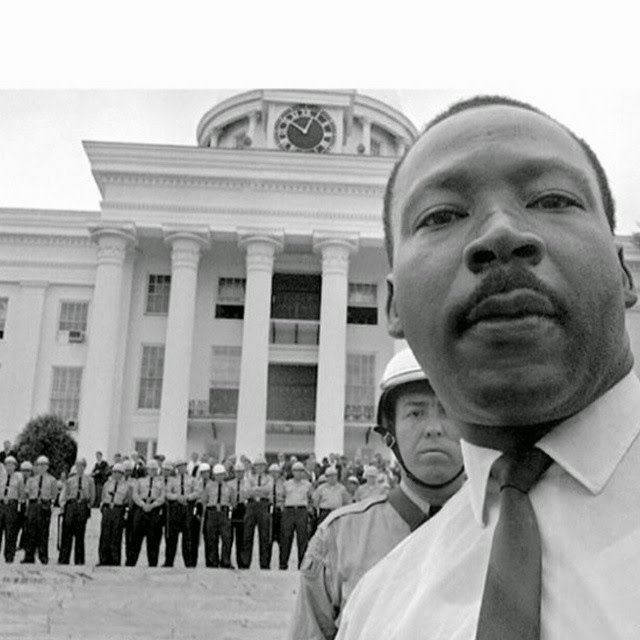 The winner of the Nobel Peace prize while just 35, MLK fought for civil rights for African Americans including the voting rights in 1965 as portrayed in the powerful movie, SELMA. To honor the legend today being the first Monday in January, celebrities, including Beyonce, Lupita Nyong'o, Gabrielle Union, Alicia Keys and more, took to social media to share their favorite quotes, tributes and iconic photos. New #MLK speech unearthed! Watch it on Democracy Now: http://goo.gl/n4TpnF. #MartinLutherKingJr "It might be true that you can't legislate INTEGRATION, but you can legislate DESEGREGATION. It might be true that MORALITY cannot be legislated, but BEHAVIOR can be REGULATED. It may be true that the law can't change the HEART, but it can RESTRAIN the HEARTLESS. It may be true that the law can't make a man LOVE me, but it can restrain him from LYNCHING me, and that's very important also." Three Generations Martin Luther King Jr. with his father and son. Photo taken in 1963 by Richard Avedon.